Sameer Patil, an assistant professor at the School of Informatics, Computing, and Engineering, has been awarded the National Science Foundation’s (NSF) prestigious CAREER award. 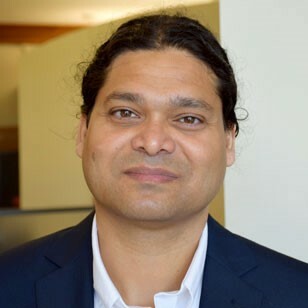 The $685,282 grant will support Patil’s efforts to develop, implement, and validate novel techniques that apply social insight to create solutions that enhance the user experience when it comes to the management of privacy when using modern technology. Patil’s research aims to combat the so-called “privacy paradox,” wherein users say that privacy is important to them, but their actions show quite the opposite. He plans to develop methods that will allow users to specify their privacy preferences more effectively while also customizing privacy settings interfaces to fit users’ priorities. Patil’s proposal features three main goals. The first is to personalize preference settings. Currently, users are all offered the same privacy preferences, but that model doesn’t fit the real world. Some users might wish to maintain privacy in regards to their location, while others may be more concerned about access to their communications. Patil will explore personalized preferences by adapting and customizing interfaces for privacy settings based on what the user’s priorities. A second goal is to make the adjustment of privacy settings for individual apps more efficient. Finally, Patil will leverage trusted community members to help users maintain their privacy settings. Patil’s proposal includes educational efforts involving research experience for undergraduates and outreach to local high schools to teach students the importance of managing privacy settings.